- Marvel has been teasing their next relaunch-- Marvel NOW-- lately and no one really has any idea what it means. The teasers have featured some of the companies most popular characters along with some very, very Z-list, barely known or new characters. - In this case, we get Black Panther teamed up with Prowler, who I had to wiki because I have no idea who this Prowler guy is. 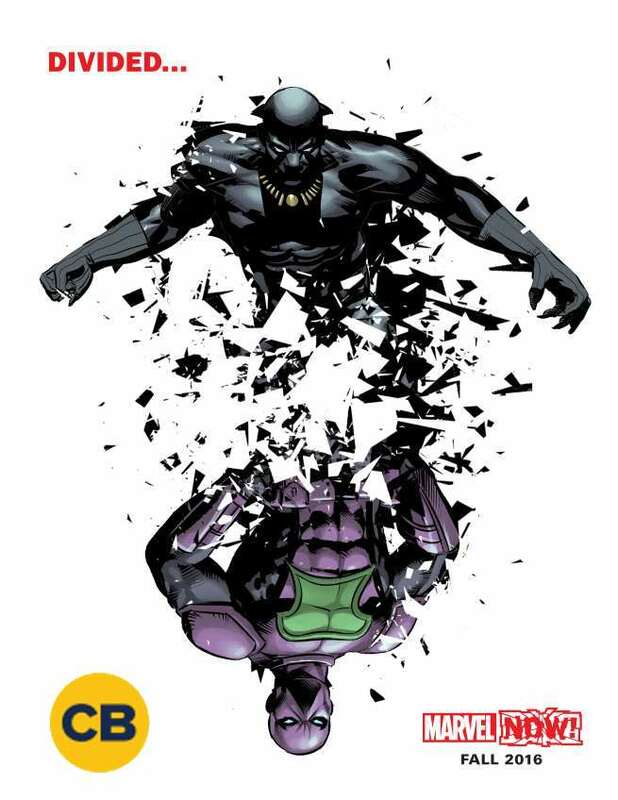 The only Prowler I knew from comics was Miles Morales' uncle in the Ultimate Universe but, he is dead. This Prowler, according to Marvel wiki, looks to be part of the Spider-Man mythos. His real name is Hobie Brown and has no known super powers. He simply crime fights in a suit of some sort and is currently working for Parker industries. - The biggest takeaway from T'challa's appearance in these teasers is the fact that he is being put up with other marque heroes. The previous teasers depicted Captain America with new Inhuman Mosaic, Captain Marvel with some joke character named Slapstick, and Ms. Marvel with the new War Machine girl. - My biggest issue with the teaser is... when is Marvel going to adapt the superior MCU suit for heaven sake?